The second day of college football's early signing period was far quieter than the first, though a few big prospects chose their destinations. "When you think about Clemson, there's no speculation with Clemson, no guessing, you know exactly what you're getting into with their system that's proven and it works every time. I really wanted to be part of something great like that, and I felt like I could be a major contributor even to something that's been that good so far. "I think the clarity came when I realized there is no better place for someone like me to be. A wise man once told me, 'If you want to be a millionaire, you've got to hang out with millionaires.' If you want to be the best, you have to hang around the best. Putnam's addition also kept him from an ACC rival in the Seminoles. Chalk that up as a win-win for the Tigers. In the SEC, meanwhile, the Tennessee Volunteers landed 4-star running back Eric Gray, the No. 171 recruit. And Gray is planning to make a major early impact for the Vols. "To go in and play early for sure; go in and help Tennessee get back to where they're supposed to be, play running back and be the top guy on the team," Gray said, per Khari Thompson of the Memphis Commercial Appeal. "When you go to a program that's been winning and they keep winning it doesn't really have the same impact that it does going to a losing program and making them win again." BREAKING: Four-star U.S. Army All-American RB, three-time Mr. Football winner Eric Gray commits to Tennessee. Gray rushed for 8,187 rushing yards and 124 rushing touchdowns in high school (the vast majority of which came in three seasons). While Wednesday saw a slew of 5-star and Top 100 players commit, Putnam and Gray were by far the headliners on a slower Thursday. 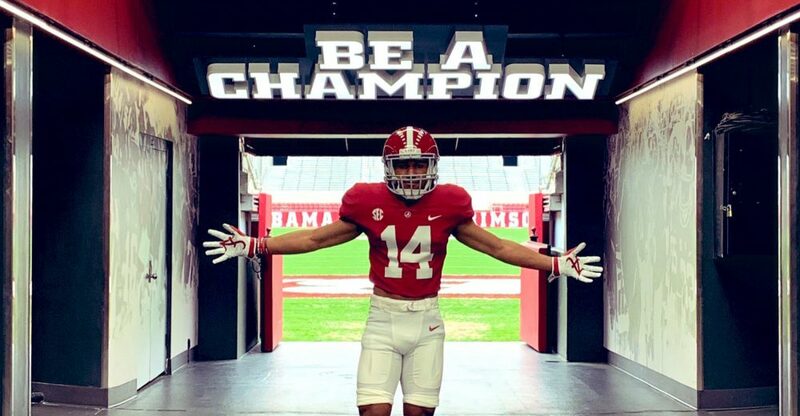 A number of 5-star recruits remained undecided, however, including wideout Jadon Haselwood, athlete Bru McCoy, defensive tackle Ishmael Sopsher, offensive tackle Darnell Wright and wide receiver Kyle Ford. All commitments and recruiting ranks via 247Sports' composite rankings.